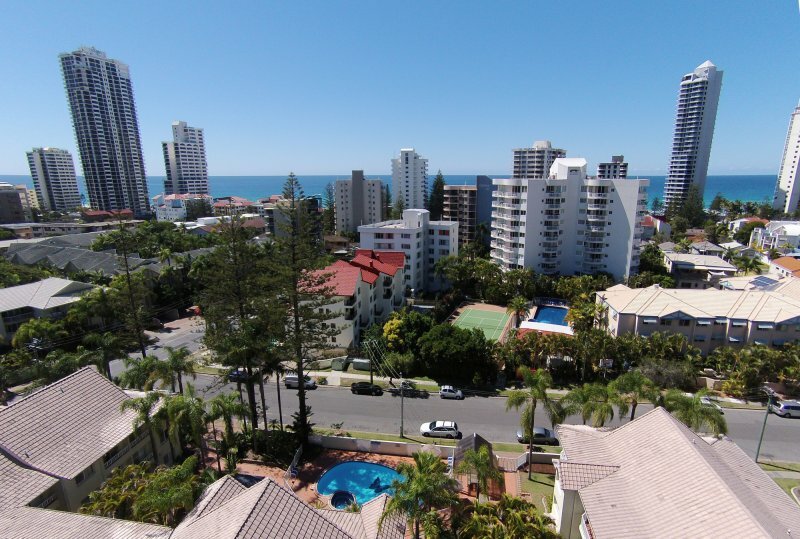 Located at the corner of Beach Parade and Wharf Road, Surfers Tradewinds Holiday Apartments is your ticket to beautiful sandy beaches, the excitement of Surfers Paradise and the world-class dining and shopping experiences of Broadbeach. 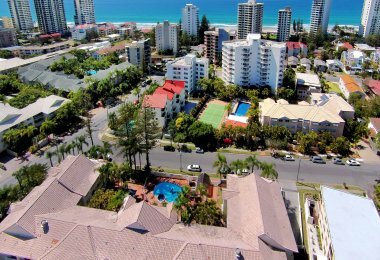 Our Gold Coast family apartments are perfectly nestled in Surfers Paradise, the jewel of the Gold Coast. Enjoy a siesta on the world famous beach. You might also like to hire a surf board, wake board, body board or jet ski. Deep sea fishing is also a relaxing way to spend your Gold Coast holiday. Surfers Paradise also has many places to dine with choices ranging from a quick takeaway to fine dining. Cavill Mall near our Surfers Paradise apartment accommodation offers a wide selection of world-class restaurants. 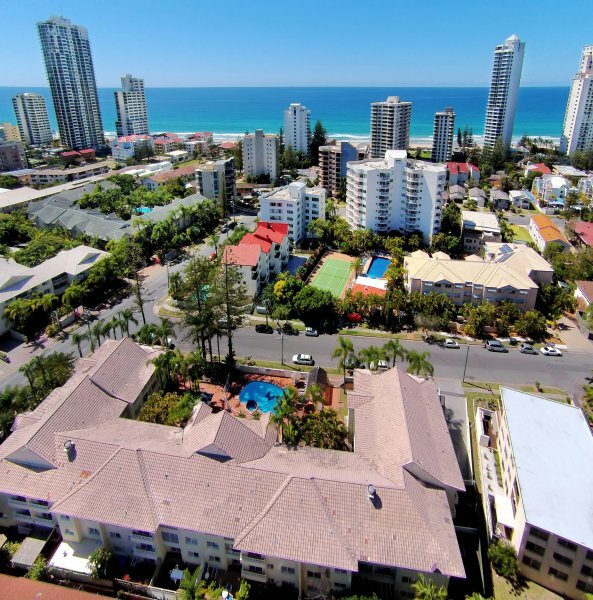 Moreover, Surfers Paradise has plenty of shopping arcades and is renowned for its fantastic nightlife. You’ll be entertained in the mall by buskers and street artists.You can also enjoy mini golf, ten pin bowling, beach volleyball and the Wednesday and Friday night beach markets. Also a short stroll from our holiday apartments Surfers Paradise, Broadbeach with its wide beach and adjoining parkland is the ideal spot for relaxing on the beach or having a picnic in the park. The parkland area has a multitude of playground equipment for the youngsters and the beachfront craft markets are held on the first and third Sunday of every month. Shopping and dining are also very popular in Broadbeach with the Broadbeach Mall and Oasis Shopping Centre offering a wide selection of trendy outdoor eateries and restaurants. There are many shops and facilities in the Oasis shopping centre and one of the Gold Coast's most loved shopping centre’s Pacific Fair is only minutes away. The Jupiter’s Casino and the Gold Coast Convention Centre also provide world-class entertainment near our Surfers Paradise family accommodation. If you don’t want to walk we are located only meters from a Local Bus stop which can transport you to all the destinations on the Gold Coast. Our friendly and approachable tour desk staff will only be too happy to arrange trips to some of the Gold Coast’s best destinations for swimming, dining, or sheer fun. 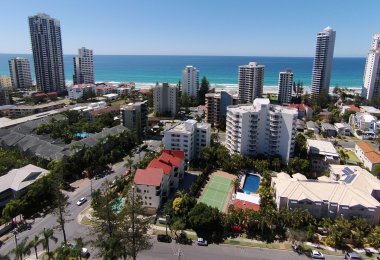 Our three bedroom apartments Gold Coast is located midway between Broadbeach and Surfers Paradise off Gold Coast Highway. Refidex UBD Page 39 N13 Two minutes from Gold Coast Highway Bus service. 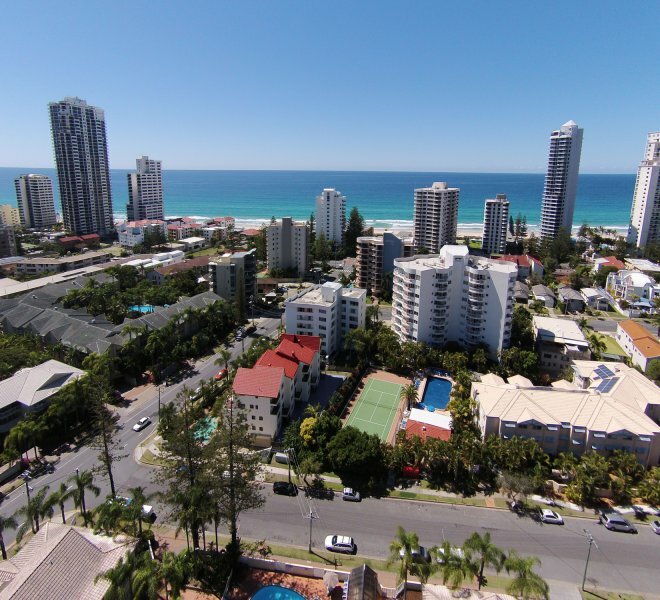 Surfers Tradewinds Holiday Apartments is located at Cnr Beach Parade and Wharf Road, Surfers Paradise QLD 4217.